My trip to Italy this year was my third time and every time I go, I fall in love a little bit more. This was my second summer in Italy, and I have discovered that summer in Italy brings some unique things to do! While a few of things are enjoyable all year in Italy, the summer season makes them extra special. 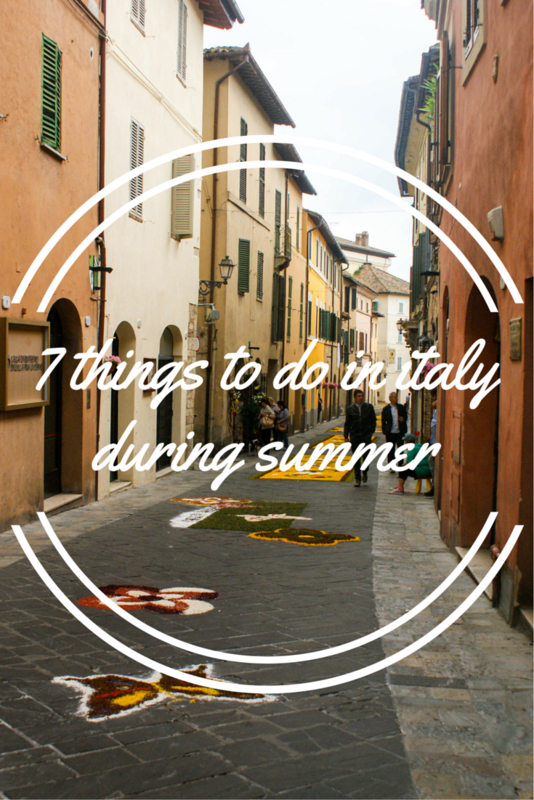 So here is my list of fun activities to do and things to eat in Italy in the summer. 1. 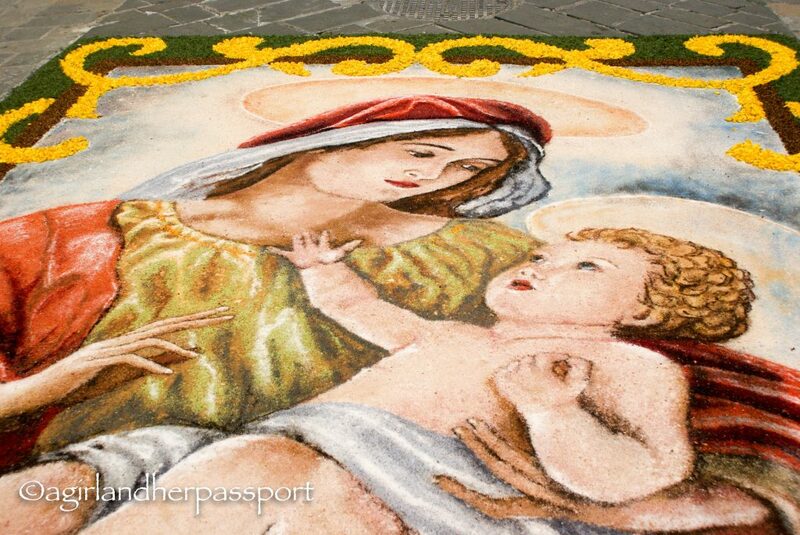 See the Infiorata in Umbria – Every summer in late May or early June towns all over Italy holds an Infiorata, which means literally “to decorate with flowers.” Depending on where you are in Italy, the Infiorata happens at different times. When I was there, it was to mark Corpus Domini. It was happening in both the towns I was visiting, Alviano and San Gemini the first weekend. The artists plan their designs in advance and then the day before mark the outline with chalk. Then starting very early in the morning they start the decorating. I managed to get myself out of bed to see them in the process of decorating in Alviano at about 4 am. In some towns, it is a competition. In Alviano, they were made with sawdust, flowers, sugar and coffee. In San Gemini, I saw flowers, spices, sugar, and coffee. Some of them smelled amazing! Here is an article on some of the best towns to see Infiorata in Italy. 2. 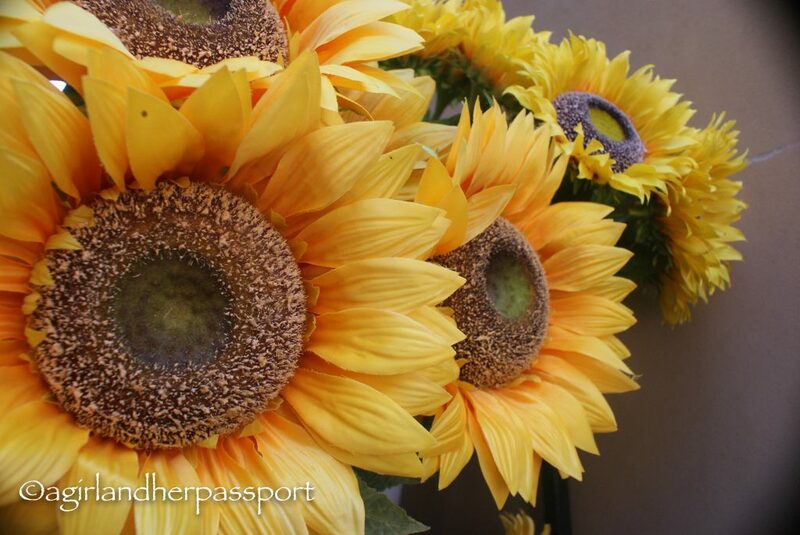 See the Sunflowers in Bloom in Tuscany– The girasole, Italian for sunflower, bloom from late June through August. When I was there last summer in the middle of July, they were everywhere. I was driving and could see them from the highway. A few times I was driving along the back roads, and you could have gotten out of the car and walked through them. To get up close, you do need a car and an adventurous spirit to venture off the beaten path. However, getting up close is totally worth it! 4. 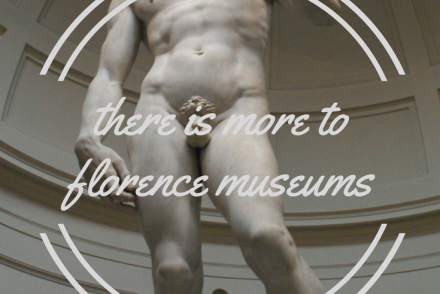 See the Calico Storico In Florence – While walking close to the Santa Croce in Florence, I noticed burly men dressed in historical type pants and no shirts. I also saw tons of people in white and green shirts. The square in front of Santa Croce had what looked like a stadium. Intrigued, I asked the bellman at my hotel what was going on. That is when I learned of the calico storico of Florence. The game is a cross of football (soccer) and rugby played in the sand. It is known to be a particularly violent game. The Guardian called it the most violent game. 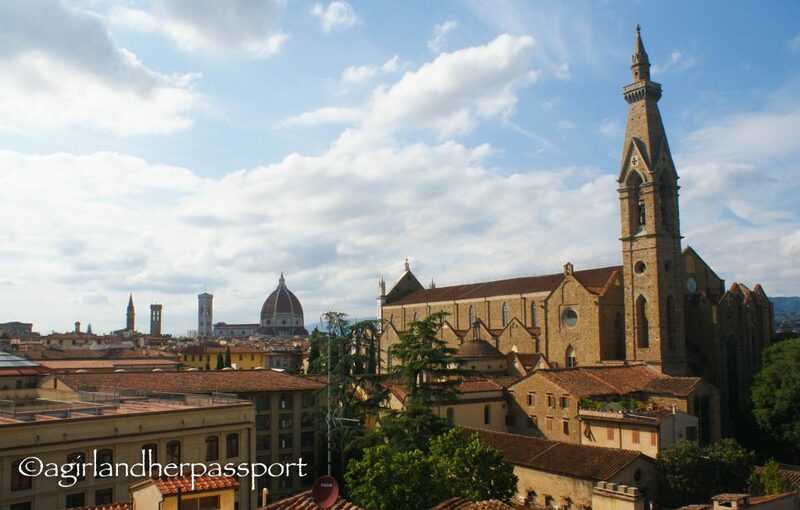 The final match is always played on June 24, which is San Giovanni’s Day, the patron saint of Florence. 5. Eat Gelato Everywhere – As mentioned in point #3, it is hot in Italy in summer, and nothing is better to cool off with than a gelato! Of course, you can eat gelato at any time of the year, but it is a true treat in the heat. This year I tried pistachio flavored for the first time, and it is now my preferred flavor of gelato. What is your favorite flavor? 6. 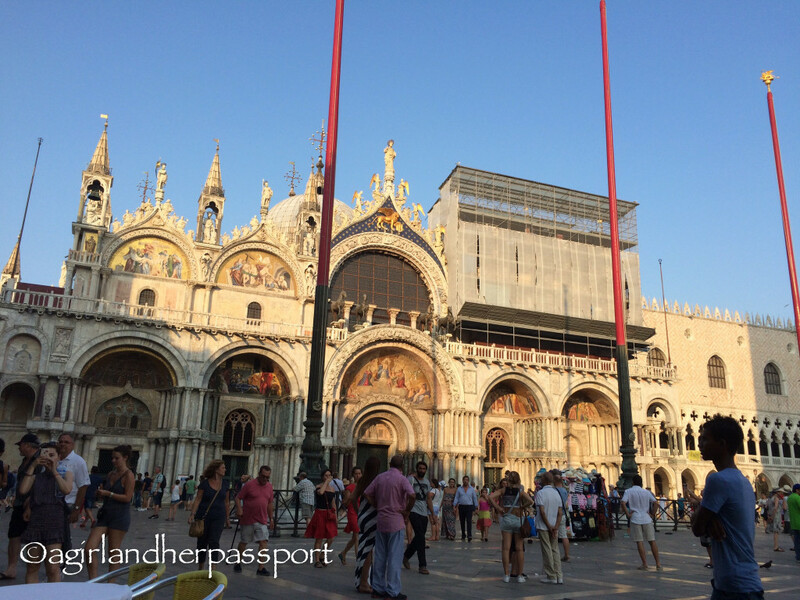 People Watch In Venice – People watching is one of my favorite activities in Italy and even more so in Venice. While most of the people you will be watching in the summer will be tourists, it is still fun to guess where they are from and to try to hear what language they are speaking. To do optimal people watching, I sit outside at a restaurant or near the window. Sometimes sitting at the bar is also good people watching. 7. Rent a Car and Drive the Amalfi Coast – Renting a car is the best way to see Italy and I have done it twice now. Driving the Amalfi Coast is one of the most scenic drives in the world. The road twists and turns all the while giving you stunning views of the Mediterranean. Have you done any summer Italian activities that you loved? Share with us in the comments. A great blog post. Well balanced, with excellent descriptions. People watching in La Serenissima is indeed a good (if simultaneously amusing and depressing) way to pass the time. It is unlikely that anyone will notice you, as the place is full of hordes of zombie tourists. They are a modern day phenomenon as they race from pillar to post, aggressively taking selfies at every turn, without regard to local norms or customs. Or anyone else. One supposes that this is merely the latest manifestation of 21st century tourism that is driven by a toxic mix of technology and vanity. I see that a lot. Just take a photo and move on is what many do. They don’t actually stop and look. The best photographs I took was when my heart and the shutter acted in concert. I am so glad you loved it! I love Italy and I hope you get to go soon. Thank you for the nomination. Best of luck to you too! One day… we will do Italy! Italy and especially Venice are on my To Do list, but summertime is possibly not the time for me. The heat would kill me! (She says planning Vegas and Utah in August… not through choice, I should add!) Thanks for all the fab tips! Haha! It can be very hot in Italy in the summer. Especially if you are in places without ac. Thank you! I am hoping to get back soon too. Suz, I use Auto Europe. Where will you be picking up the car? Thank you! I want to go back as well. I just love the little Italian towns.